The side walls of the mortises look fairly small. In the failure study I recall seeing, the traditional mortise and tenon joints failed by breaking out through the side wall, so I wonder if these joints would be stronger with a smaller domino and larger side walls. Excellent points Rob. You should be an engineer! I actually enjoy doing mortise and tenons by hand. It is pretty fast. Plus I often like to show dovetails on the front rails of case pieces. Just a nice detail that shows hand workmanship and can look great, IMO. Yea, Adrian, the sidewalls are a bit thin, but the discussion is about glue area and I wanted to give the Domino a fighting chance by using 8x50mm instead of 6x40mm Dominos, because the former have more glue area by virtue of their greater length. Yes, Bill, I shoulda been an engineer! Coulda been a contenda. And yea, sometimes we can do things faster just getting straight to the work by hand, rather than figuring out work-arounds for machines. I agree about the glue surfaces. However, I was sold early on with the Domino. Spent all the money that it required. Now it basically sits on my shelf unused. I now cut my mortise and tenon joints by hand. The accuracy and glue surfaces are dependent on my hands not a machine. I ran into the same misalignment issue as you did. Got the same answer from Festool. You would think that a company with their reputation for quality and tolerances would be more responsive and acknowledge they have / had an issue. But the answer is no. I had to use the same tape kluge as you did. $800 tool with masking tape to make it work acceptably. Unacceptable. I am looking into selling some of my Festools as I get more and more into hand working. I hear you, Steve. I still use the Domino but more guardedly. 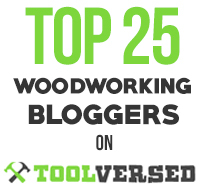 Festool makes good tools, and they are innovative, but overall, Festool is overrated and way overpriced. 80 bucks for a plastic box ought to be a big hint for everyone. I must thank you very much for shimming a bell about this domino problem. 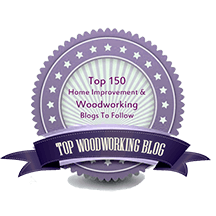 Thankfully, I read this blog BEFORE buying my Domino XL and planned to make extensive tests on the machine so I can take advantage of the 30 days warranty and return the tool if it doesn’t meet my expectations. I already got the “sorry, it is within tolerance” argument with my Festool routers so I didn’t want to take any chance with this hard won money on the XL. Take the 12mm bit, use the Wide setting. Take a large block of wood (about 2″ X 6″ X 18″ long) so that the fence is fully supported at any position. 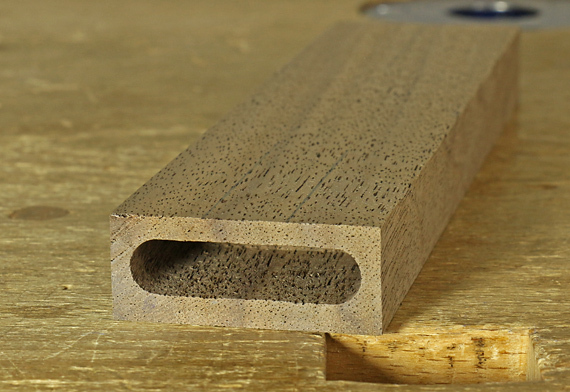 Mark 6-8 lines spaced 18mm apart at the center of this block of wood. 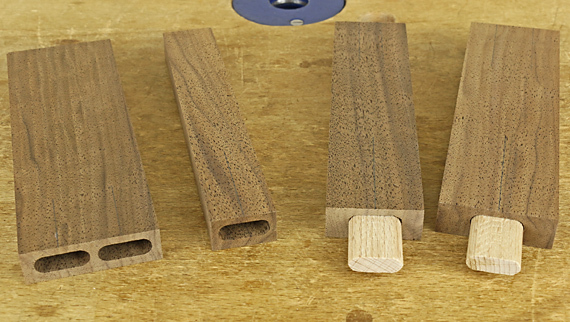 Plunge about 20mm deep (so as to avoid user manipulation errors) by centering the domino on each mark (using the sight gauge), one by one. Observe the very wide mortise created. 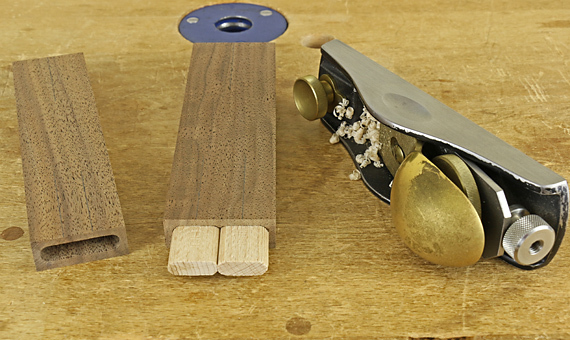 In my case, I add a “scalloped” mortise and I can see that it is not an “user error” since the scalloped surface is very very consistant, showing exactly what you described: the fence is not in the same plane as the side-to-side motion of the bit. I did the exact same test by using the “base” instead of the fence as the reference and got the exact same result (I previously check that the fence was in the same plan as the base so this was not very surprising). I found that a shim of 0.070″ (yes, more than 1/16″!!!) at the right side of the fence did a near perfect mortise. So it was not “user error” :-) I made a lot of mortise with this shim and whatever setting I was using, the mortise was near perfect. A way to check the mortise and see the consequence is to put a card scrapper inside the large mortise so created: you can clearly see where the glue will fail doing it’s job. I had about 75% of the surface where the gap was (to my sense) too large to make the glue do a good job. That is exactly the type of test that clued me in to the built-in, non-adjustable inaccuracy in my Domino. I was trying to “chain” mortises to use the machine as a mortiser apart from its use with dominos. I got the stepping effect as you did. This manifest inaccuracy had been causing alignment problems in some of my ordinary domino joints, which I had previously attributed (incorrectly) to manual error. The Domino is a great concept and can work well if used in an appropriate role in building. 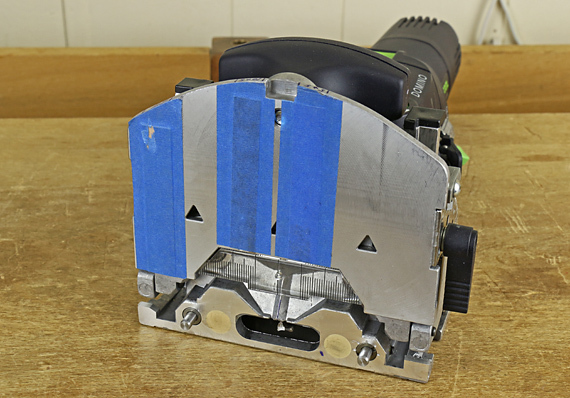 The problem, in my opinion, is that Festool likes to tout their tools as being uber quality, worth the exorbitant prices they charge, but that just isn’t always so. I’m still trying to figure out how a plastic box is worth $80. Oh, excuse me, a Systainer.